The Coca-Cola Bus Terminal is the main bus terminal in San Jose, Costa Rica, and a hub of the entire Costa Rica bus system. It stands on the spot of Costa Rica’s first Coca-Cola bottling plant, hence the name. The Coca Cola Bus Terminal is located at Calle 16 and Avenidas 1 through 3 in San Jose, Costa Rica. The Costa Rica bus system is the most practical and inexpensive mode of transportation in the country. If you’re traveling by bus in Costa Rica, catching a bus in San Jose’s Coca-Cola bus station is almost unavoidable. Basic Spanish knowledge will definitely help the ticket-buying process and reduce your chances of being targeted by pickpockets. Be advised that often estimated arrival times and stops are treated as guidelines or suggestions rather than requirements. San Jose is a very crowded city and traffic all over Costa Rica moves very slowly. If you do travel by bus, build in some extra time around expected arrivals. Be aware that the Coca Cola Bus Terminal is located in San Jose’s Coca-Cola district–also called the Zona Roja, or the Red Light District of San Jose. Zona Roja is one of San Jose’s most notorious areas for pickpocketing and petty theft. Much of this crime is directed towards tourists and travelers, especially in and around the San Jose bus terminal itself. Keep an eye on your bags and backpacks at all times, and keep your passport and important document in an underclothes money belt. Don’t let anyone else watch or handle your baggage. The best Costa Rica bus schedule available is offered on the Costa Rica Toucan Guides website. However, the timetables of buses in Costa Rica are definitely erratic. It pays to arrive at the San Jose bus station early but be prepared to wait. While the Costa Rica bus system is relatively inexpensive and convenient (in that it goes all over the country), it's advisable to do a little advance planning. The Toucan Guide is helpful, but there's no central website that has all the bus routes and schedules available, and Coca-Cola station is hectic and crowded, with several ticket windows throughout the building. Your best bet is to purchase tickets in advance, either by phone or online. While many tourists get around just fine using the bus system in Costa Rica, there are a few scenarios where you may want to consider renting a car if your budget permits. If you have luggage (which could get lost, or worse, stolen) and aren't visiting remote areas (where roads might be less passable), renting a car might make more sense for you. There's also a robust taxi industry in Costa Rica, but be wary of unregistered car services, especially if you're departing from Coca-Cola station or anywhere in the surrounding neighborhood. 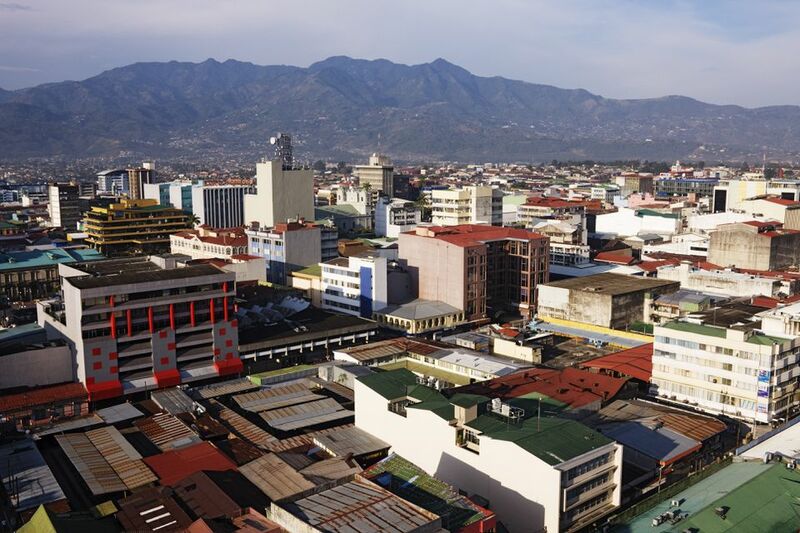 If you plan to visit neighboring Central American countries like Guatemala up north or Panama down south, your best option may be Ticabus which has connections from San Jose stations.